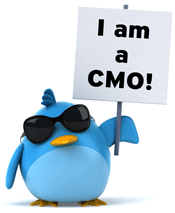 Ever wonder what all those CMOs on Twitter are talking about? This new report fills you in. The data is valuable for a number of reasons, not the least to understand what topics are important to CMOs, what they’re likely to share and what they find most popular. The report also lays out what platforms and networks drive Twitter sharing and the most popular hastags. If you’re trying to socially connect with CMOs, this article is for you! 1. 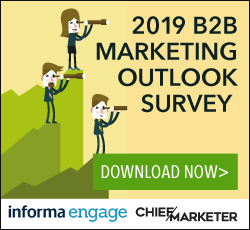 Across the board CMOs are looking for strategic insights from people, publications, and vendors to cope with the explosion of technology and data-driven marketing. 2. The CMO-CIO relationship is getting serious. 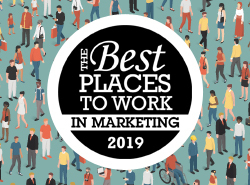 Marketing executives are taking an active role in beefing up their tech chops, including consuming more content traditionally targeted to IT readers. 3. The line between B2B and B2C marketing continues to blur, but B2B marketers do remain more focused on technology, where B2C marketers place more emphasis on brand. 4. Marketers appetite for location-based “check-in” apps has diminished significantly, with only 5% of marketing leaders sharing Foursquare check-ins as compared to 28% only 24 months ago. 5. Meanwhile, LinkedIn has made significant inroads with marketing executives; cross posting of LinkedIn content to Twitter is up 200% over the past 24 months. 6. CMOs’ media consumption and sharing habits continue to lean toward visual content that transitions seamlessly between desktop and mobile environments. 7. CMOs get most of their news and opinion reporting from a relatively small number of sources, which creates both challenges and opportunities for upstart brands and thought leaders. 8. CMOs are attuned to the value of their “personal brand,” and love to talk about and share lists of how influential CMOs compare and stack up. 9. Social media influence is shifting, from the notion of simply having a large audience to that of having a highly valuable audience. 10. Social insights help marketers identify current influencers and up-and-coming sources to watch.